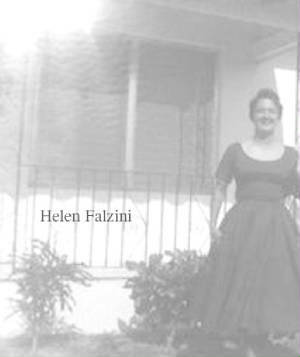 The Falzini / Paglia Re - Union took place on June 5th 2002. It was held at The Radisson Hotel in Middleburg Heights, Ohio. The Event was hosted by Lido and Laila Paglia of Boulder City, Nevada. Lido is the youngest child of Antonio and Filomena( Falzini ) Paglia. A wonderful time was enjoyed by all who attended this very special occassion for the family. This was the first time The Falzini's and The Paglia's, have seen each other on over 30 years ! 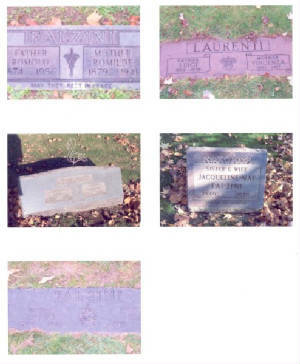 Below are the head stones of The Falzini's grave sites at Calvary Cemetery in Cleveland Ohio. On October 28th, Richard Ganofsky, Son of Caroline Falzini took a trip to Castelnuovo di Porto to visit the Falzini's, and many of the related members still occupying Castelnuovo di porto. 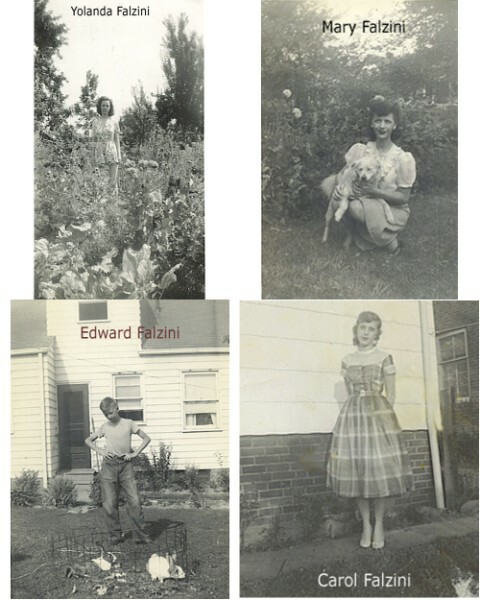 During his stay, Rich was able to obtain much new information for the genealogical work which is being written by Barbara Fabrizio and Riccardo Falzini, along with Rich.